A Love Letter to Milos Cheese — potato chips are not dinner. The best thing I've ever eaten was in a ferry decorated like a rec room wedding in 1977. After an already long journey, I was trying to sleep in a bed I had fashioned out of two rattan chairs pushed together for the long ferry trip from Athens to Milos. The tiny island isn't as popular as say, other destinations in Greece such as Santorini or Mykonos- exactly why I wanted to go- therefore flights to Milos are small, infrequent, and fill up quickly. A lesson my best friend and I were learning the hard way. Instead of starting a six hour ocean journey we definitely should have been checked into our hotel and well into our second bottle of wine. As I slept, my friend went in search of food and a few minutes later announced her return with the familiar crumple of a pastry bag; I fluttered one of my eyes open just a slit, saw something brown and seemingly uninteresting, and went back to sleep. A foolish move, because after one bite in my friend was whispering "oh my god" into the pastry bag. A buttery, flaky crust speckled with sesame seeds and filled with the most perfectly salty and creamy white cheese. So simple. And yet, the best thing I ever ate. From that point on, I was an insatiable yogurt and cheese monster. Feta for breakfast. 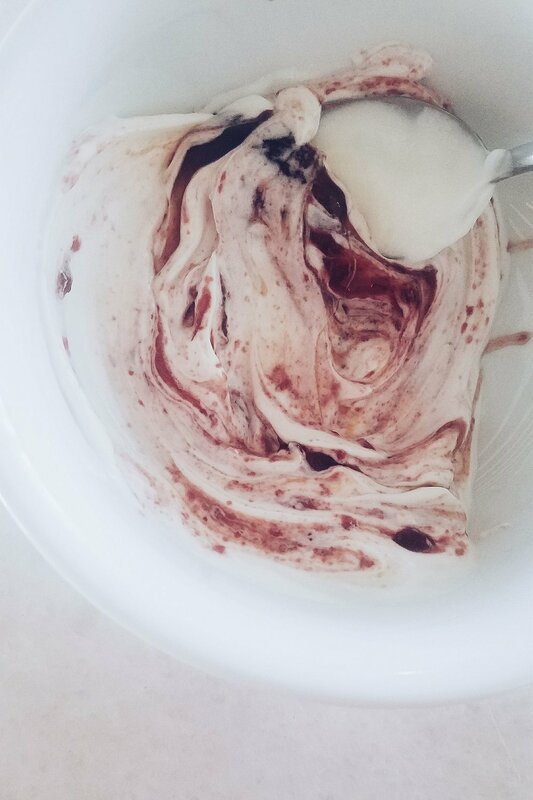 Yogurt for breakfast. Fried milos cheese with lemon squeezed on top. Fried milos cheese wrapped in a napkin and stuffed in my purse because I didn't know how/was too embarrassed to ask for a to-go box in Greek. No cheese left behind. 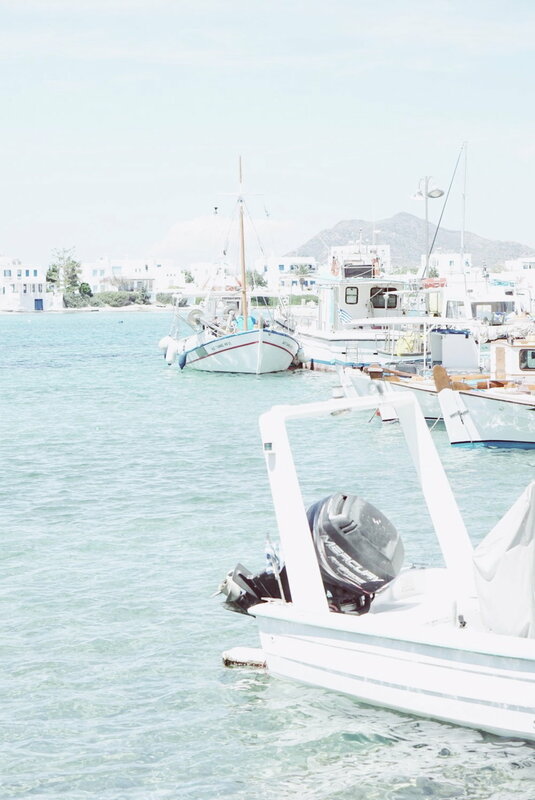 Though octopuses drying in the sun outside of seaside restaurants are a very common sight in Greece, one of my favorite moments was seeing an octopus hanging off a sailing line on a passing boat, tentacles furiously flapping in the wind like an octopus flag. Local honey is so good you will be tempted to eat it by the spoonful. 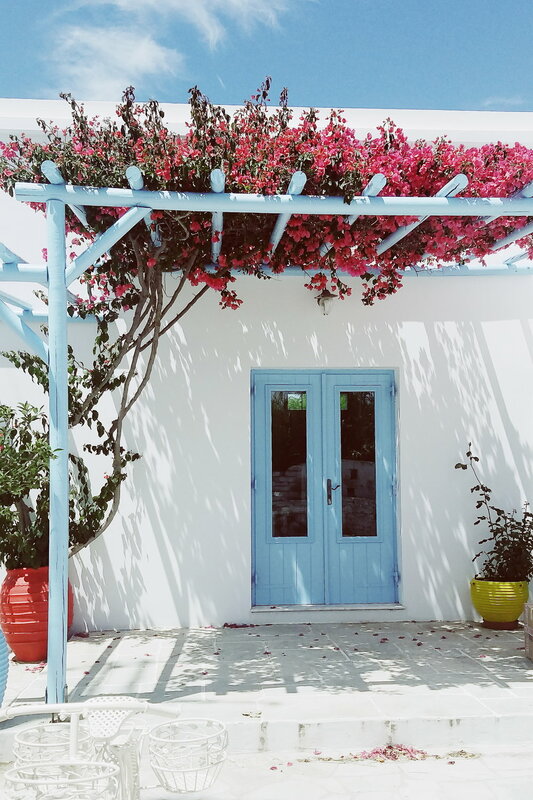 Though we arrived at the Milos Breeze hotel at 2am after countless hours and thousands of miles traveled, the stunning hotel and view we woke up to made all of that disintegrate. The hospitality we received the very second we stepped foot in Greece was astounding. From the taxi driver taking us from Athens airport to the ferry termimal and helping us buy our ferry tickets, to the owner of the hotel waiting until our very late arrival to let us into our room, to the restaurant waiter that would wave to us every time we passed by- I'm not sure I've ever felt more welcome anywhere In the world. You know when you travel somewhere and never quite get rid of the feeling that underneath the hotel concierge's smile that doesn't quite meet their eyes, is a festering hatred for you every time you ask a question and then you end up apologizing for existing? None of this in Milos. The best yogurt on all of planet earth. After breakfast at our hotel, we wandered down the hill into quaint little Pollonia. Sea Urchin, the Milos way- lots of lemon, olive oil, a few salt flakes, and bread. Seafood in a rich and sweet tomato sauce and hefty sprinkling of salty feta (Saganaki) , and pasta with prawns. The first of many free desserts! Such a special touch. It wasn't so much that they were free that made me love this amazing display of Greek hospitality; it was just such a genuine and sweet gesture. This dessert was yogurt with candied lemons. 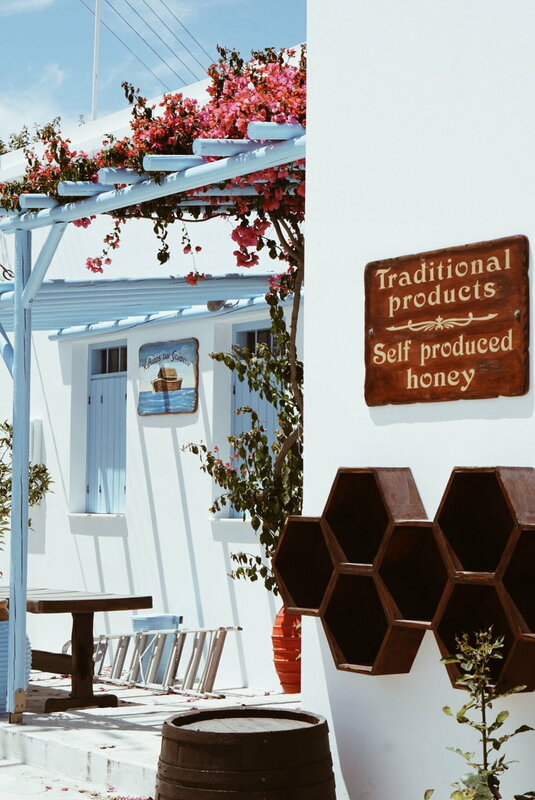 The local economy of Milos benefits greatly from the year-round mining of minerals such as perlite, kaolin, bentonite, pozzolan, siliceous stones,and baryte. This ensures a large percentage of their approximately 5,000 residents are employed, so the island is not solely dependent on seasonal tourism. 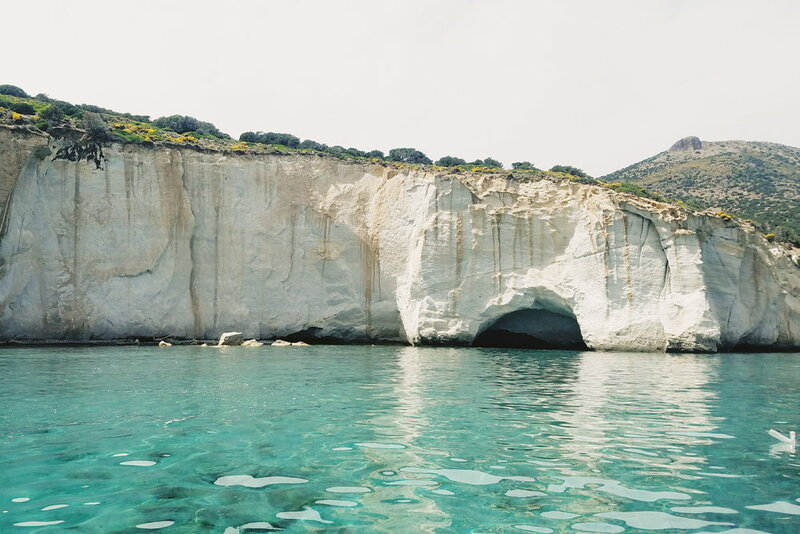 The best way to see Milos is by sea, and the only way to see certain beaches such as Kleftiko. 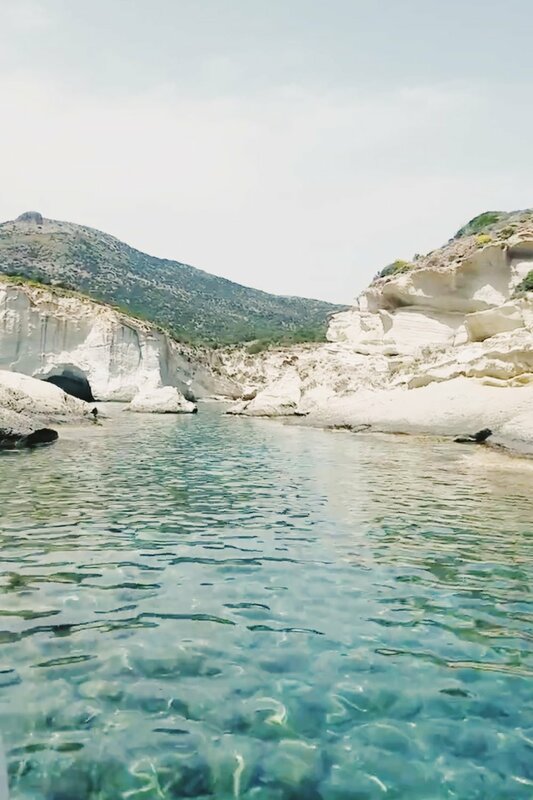 The journey to Kleftiko takes a few hours, and along the way you pass the most breathtaking formations. The sunset-colored ones were my favorite, and provided much of the inspiration for the marblings I did in the background of my illustrations. Kleftiko was an old hang out spot for pirates, who made good use of all the nooks, caves, and crannies in the formations by using them to hide themselves and their treasures from passing ships. Anchoring behind the tall rocks and arches also helped the pirates keep out of view. 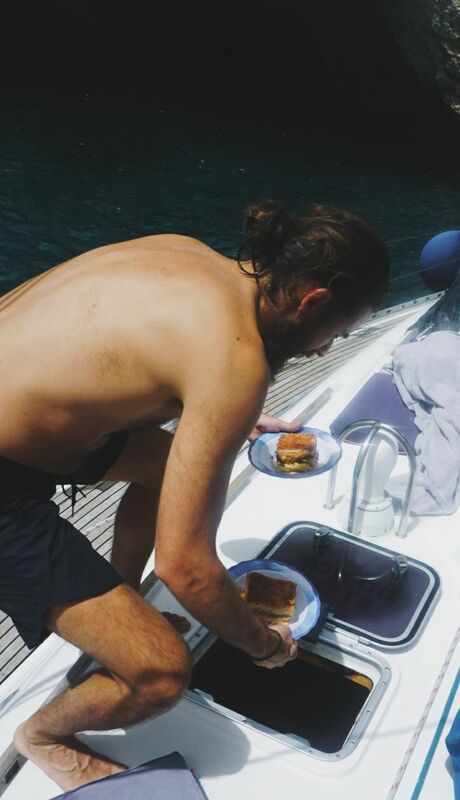 After swimming around in the neon turquoise water of Kleftiko, it was time for an amazing lunch, made by George, who was our captain, cook, and food model. A simple but amazing salad of bread, tomatoes, onions, cucumbers, olive oil and feta. The hearty Pastitsio was the perfect lunch after spending hours on the boat and in the water. These formations reminded me a lot of Devil's Causeway in Ireland! My one true love! Milos Cheese, with a twist of lemon to cut through the outer layer of this fried version. Souvlaki was necessary after climbing hundreds of stairs to the top of Plaka. I nicknamed this beach "Moon Beach" because, well, that's exactly what it looks like. 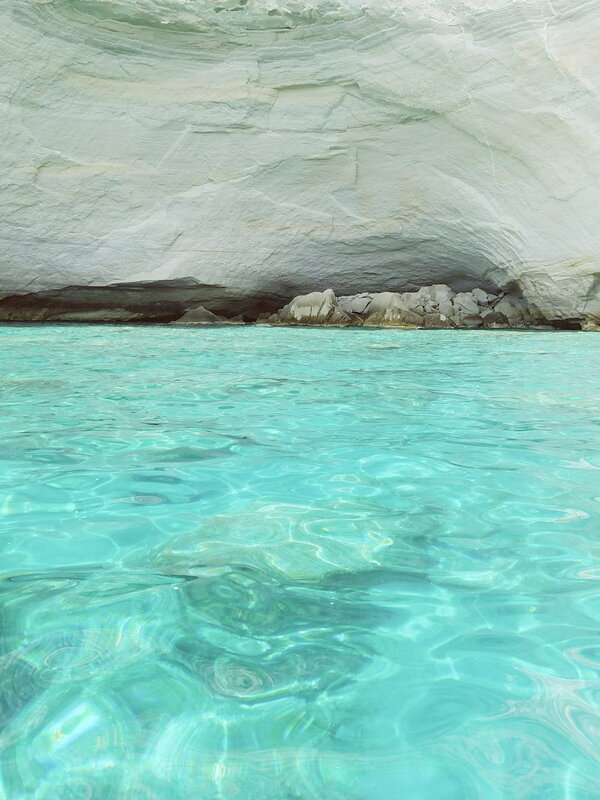 This beach is 99% the reason I decided to go to Milos. It is easily the most stunning beach I have ever seem in my life, with its chalky white stone formations and turquoise water. Another one of my favorite beaches on Milos was Paliochori; a gorgeous beach with red rock formations that give you a clue to its ongoing volcanic activity. While swimming close to shore you can see bubbles and feel warm pockets of water in certain spots, kind of like going to hot springs and swimming in cool ocean water at the same time. The beach is lined with rainbow colored pebbles ranging from the size of a coin to as big as your head, and they are all burning hot- one of the taverns there even uses a particularly large and searing beach stone to bake some of its dishes. SAYING GOODBYE WITH ONE LAST DINNER OF OCTOPUS, MUSSELS, AND ROASTED EGGPLANT.